What is there to do in Australia? Well if you hadn’t realised by now its time you paid a little more attention! There is so many fantastic opportunities in Australia and I feel this place is suited to everyone. The list of things to do goes on and on and I am sure you will not have to look far to find what you need. Lets face it we all want to know what other people think is good so here is a list of some of the top answers i whould give if someone asked me what is there to do in Australia. In no particular here are my top 10 destination recommendations these should give you a great idea about what there is to do in Australia. Many people mistake Sydney for the capital city but this is a common mistake. I have to say this is my favourite city in the world…so far. When I stayed in Sydney for 3 months I lived at Bondi Beach and travelled into the city to work. I used to get of the bus or train in awe of the city. People were friendly (DJ’s let you play their music with them in some of the trendy bars not like in the UK), the buildings interesting, parks beautiful and clean and you cant help to notice the space you have in the streets and road not to forget the views of Sydney Harbour’s bridge and opera house. There is so much to do, the indoor markets, the street parades, the beaches, sports, surfing and sense of well-being….a cracking place to visit, work and stay!! You may need a Sydney, Australia Street Map …. Fancy taking in some of the major city attractions at a discount price? get a city pass, tour or inclusive package for a great deal! Perth is the chilled city of Australia but also has plenty of things to see and do such as sight-seeing, wildlife and aquatic fun to Aboriginal culture and dance. Perth also gives you the opportunity to travel up and down the west coast of Australia giving you a whole range of options from feeding the Bottlenose Dolphins out of your hand in the shallow water at Monkey Mia, visiting Fremantle and its chain of beautiful surf beaches, visiting the west coast barrier reef, the gold mining town of Kalgoorlie, Shark Bay, Margaret river and even the pearl farm of Broome. 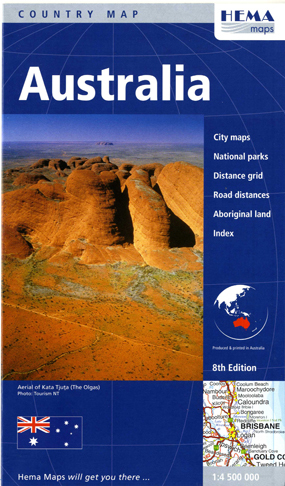 You may need a Perth, Australia Street Map …. This is the world’s largest sand island and hosts a variety of endangered species of wild dogs, Dingos, and several types of fish found only in Australia. Fraser Island is a white sandy beach clear blue sea paradise island. There are a whole variety of companies who provide the means of a 4×4 and camping equipment for you to explore and discover the island for yourself and what an experience that can be. What ever you do though don’t go swimming in the ocean. It may look great and you may be hot and a great swimmer but there is no beach patrol and there is likely to be sharks and strong rips. If you are thinking of visiting this fantastic place I would consider one of the many self drive tours available through our Travel Shop so go for it check out the options and organise a package now!. DIY touring is also a great option but there is a lot to consider and a lot of things you may not know about. Check out the government website for a much more thorough guide. This is one of the Australian World Heritage sites. The park is is located within the Alligator Rivers region which It is regarded as one of the richest biological regions in the whole of Australia, is within the Northern Territory and homes a rich and diverse mix of wildlife and native plants. Kakadu national part is home to around 500 Aborigines and stretches over 200 km south from the coast and 100 km from east to west. There are plenty of tours to get you out there to help you get the best experiences possible in the area check out the crazy jumping croc boat tours, check out termite hills and aboriginal foods on the walking and multi day tours, get some 4×4 action going and generally experienc the rugged natural beauty all around you. Uluru is largely known as the largest monolith rock in the world (although there is one bigger in Australia itself) and certainly regarded as one of the greatest natural wonders of the world. Ayres rock originally sat on the bottom of the sea but now 348m of the suspected 2.5kms rock stands above the surface of the land. Visiting Uluru was one of the highlights of my trip to Australia; I travelled there from Annies place with a bunch of other travellers and combined the experience with king’s canyon, the Ulgas and Ayres rock along the way. Meeting all these new people and touring for 3 days was great we had a unique bond by the end of the trip. To say the experience was unforgettable would be a massive understatement the rich red coloured sands, the southern stars and wildlife (not to mention the heat) were fantastic on their own. Actually being close enough to see these highly sacred places, to feel the culture and observe some of the most beautiful scenes nature has to offer you is something to ponder and talk about for years to come. Uluru is considered to be a site best seen at sunrise or sunset, it is at these times you can witness a cascading range of colours across the red rock. There are a variety of conditions that change the way the rock colours behave and you could be lucky enough to see a light show or the fascinating patterns the environment produces. Ayres rock comes with many interesting tales, myths and legends if you want to check it out some more. If you are anything like me you wont be able to wait until you get here, head to our travel shop and book your tour in the red centre today. This is pretty much the gateway to the Great Barrier Reef and so obviously is the best place to go if you want to book a trip and visit. As I am sure you would be aware the Great Barrier Reef is the largest coral reef in the world. What you may not know is that it stretches about 80 million acres along the North East coast of Australia. The Great Barrier Reef gives you the opportunity to see some of the world’s rarest sea organisms. Carins is a great place to visit; there are a whole range of hostels, hotels and tours available not only on the reef but into the rain forest and up to the top of the coastline. The nightlife is fun and vibrant offering you the chance to win tours and experiences and there is plenty of opportunity to relax. You can earn accommodation, tours and experiences if you are a bit pressed for cash by representing some of the local tour companies. I have not been here but always heard good things about it. Kangaroo is Australia’s third largest island and a relatively small and peaceful place, somewhere I would love to visit on my next trip to Australia. Scratch that I will be going there…. This beautiful island with its native bushland, wildlife, adventure & exploring is a wildly gorgeous destination, somewhere you will no-doubt want to spend more time than you may expect. Even the photos on the net don’t do it justice by all accounts. Here you will be able to get up close and personal with a whole variety of animals (well as much as you could expect to be with wild animals) including wallabies, goannas, koalas, kangaroos, echidnas, dolphins, sea lions, penguins, fur seals, eagles, whales and ospreys. Kangeroos are a pretty cool animal you can pet them at various places throughout Australia but dont end up like me slightly gutted I didnt visit when I was there; book up a tour in our travel shop, we got some great deals all year round! Now this is a little bit of a random place but I thought it made for an interesting visit. Nimbin is situated around 43 miles or 70km from Byron bay and the area is known as the Rainbow Region and of cultural importance to the indigenous Bundjalung people. Also Nimbin commonly touted as a hippy community that took to the hills to escape the laws of the land although this may not necessarily be true. While the cultivation, possession or sale of cannabis is punishable by law in New South Wales in Nimbin all of these activities are part of the every-day hippie culture. The people of Nimbin have a high tolerance for cannabis (marijuana) and this is obvious from the open buying, selling and consumption of their locally grown cannabis along the streets and laneways. There is a museum and café that are certainly an experience in themselves and there is an annual MardiGrass. •The Hemp Olympix, including the Bong “Throw’n’Yell”, Joint Rolling, and the Grower’s Iron Person event, where runners must first carry a 20 kg (44 lb) sack of fertiliser, then a bucket of water, and finally “the crop”, as a tribute to the difficulties faced by growers in the hills, and to show that cannabis users can be fit and healthy. In the evening the entertainment ranges from a Harvest Ball and Picker’s Ball, rave doof parties (outdoor dance party), to poetry and jazz in the local cafes. Let out the hippy in you and book a Nimbin tour in our travel shop many of the tours run from Byron so check it out through the Byron Bay links. How could you miss Byron Bay off the list?? When you think of that laid back, chilled out surf town, this really is that place! Byron is located on the east coast of Australia which is the coastline that tourists almost always visit and so appreciated that many of the residents of Australia flock here for a break themselves. The local aboriginal people call the area Cavvanbah which means “meeting place” and aptly named. The town is adjacent to the most easterly point of Australia and can be easily reached by road or on foot. As you may expect Byron has its share of great views, friendly and surfy people and a buzz about the atmosphere. Along with a weekly farmers market and monthly craft market among other events. There is always plenty to do here from surfing lessons to festivals, to markets to beach I am sure you will find plenty of time to chill and enjoy but you may not want to leave…. Check out our travel shop for all sorts of deals and packages tailored just for you! The Blue Mountains are a World Heritage Area in New South Wales and are named that way because of their mystifying blue-hazy beauty. This area is densely populated by oil bearing Eucalyptus trees and these trees fill the atmosphere with finely dispersed droplets of Eucalyptus oil. The oil combines with dust particles and water vapour as it rises into the air. These droplets scatter short-wave length rays of light which are predominantly blue in colour and create the hazy effect. With around one million hectares of tall forests, sandstone cliffs, canyons, waterfalls and bushland you will never be short of somewhere to see, go to or do. Some other places of interest…. Melbourne – culture and diversity – Melbourne is Victoria’s capital city and the business, administrative, cultural and recreational hub of the state. With Australia being such a vast country with so many different types of landscape, environment and weather systems, coupled with the vastly different wildlife and activities it is far too difficult to cover off everything that is great. This page should have given you an idea about some of the places you may want to visit and cover off some of the things you can do when you are there. Start at the beginning in our travel shop and you will find all sorts of things you never knew could be possible there. If you are looking to book multiple activities or tours we may be able to give you an even better deal with some kind of discount, drop us a line and tell us all about your plan and we will see what we can do for you! I can almost guarantee you will have loads of places, attractions and events you could recommend and you really cant believe I haven’t covered them off! If you have any recommendation you could make when someone says “what is there to do in Australia” please add it in the comments section below this way other travellers can share your experiences to ensure they don’t miss out and thoroughly enjoy their trip. If you can add what you recommend, why you recommend it, when is a good time to visit and roughly how much it may cost someone I think that would be hugely important and the minimum a person may need to know. Well this is all still a work in progress for me so I am really pleased that you enjoyed my post!